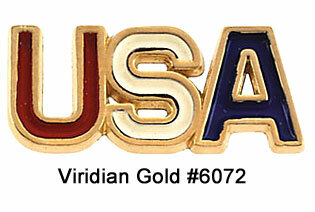 A frequently-asked question is what exactly is the difference between a lapel pin and a brooch? Lapel pins are small pins that are designed to be worn the on the lapel of a dress jacket; some people wear them on their shirt collars. 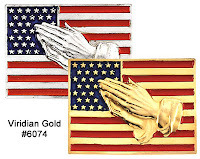 They are generally worn to show support and/or membership of organizations, one's country, religious affiliation, and as symbols of achievement. The back of the pin has a small prong attached (similar to a post earring) and is secured with a clutch or tie tack back. All of our lapel pins are either 14K gold or (.925) sterling silver, and are secured with yellow-plated or nickel-plated tie tack clutches. 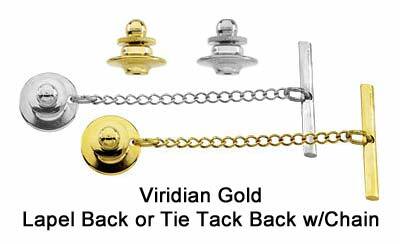 In addition, customers are given the option of selecting the standard back or a back with chain (both pictured on the right) so that the pin can be as a tie tack. To wear with a tie, select a shirt button at the desired level for the tie tack, and insert the "T" shaped end into the button hole. Next, slip the button through the hole so the button shows; the tie tack chain should be sticking out of the hole. Then push the tie tack pin through the tie. Once the pin is through the entire tie, insert the tie tack into the clutch. Use caution when wearing with expensive or silk ties. 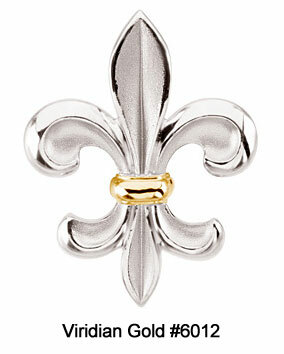 A brooch (also called a pin or clasp) was known as a "fibula" in ancient Greek and Roman times. Shaped somewhat like large safety pins, fibulae were used to secure articles of clothing. Today brooches are decorative items fashioned from metal, usually gold or sterling silver, and are frequently designed with enamel accents or precious gemstones. They can be strictly ornamental (and are sometimes even worn as hair ornaments! ), or can also have the practical function of fastening clothing. 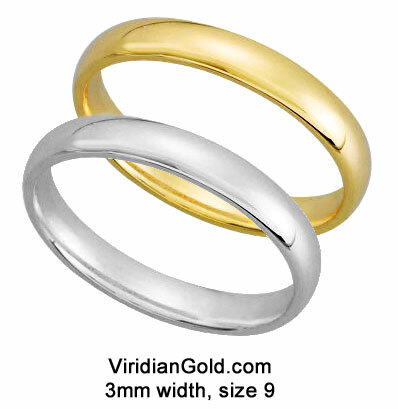 At Viridian Gold, we offer a variety of styles in both 14K gold and sterling. 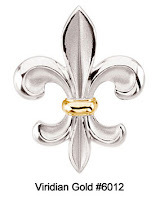 A customer favorite is our Fleur-de-Lis Brooch #6012, shown at the left. 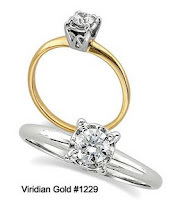 To view our entire selection of brooches, visit our Pins and Brooches page.